This week we’ll be sharing some lovely pieces that just arrived. 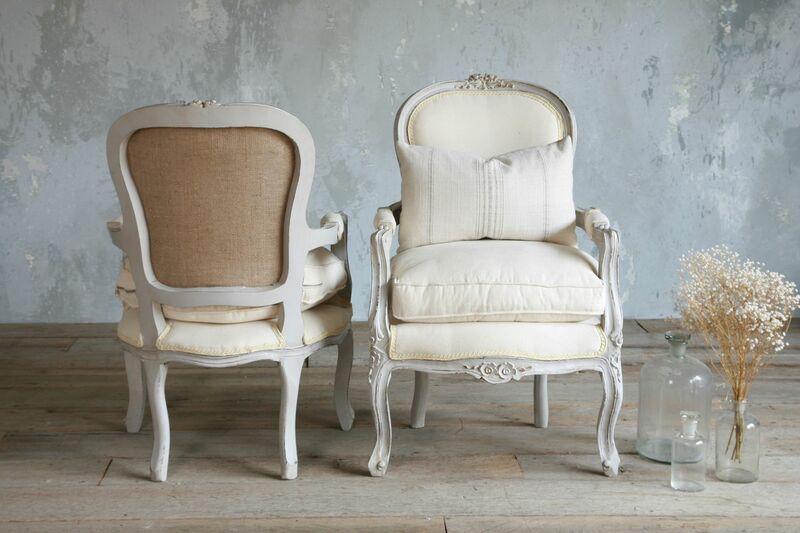 First up, this pretty pair of vintage Louis XV style armchairs. These chairs, circa 1940, are refinished in a beautiful gray with bits of natural wood peeking through. 37H x 25W x 23D. Contact for pricing.